This little boy is at 9 weeks gestational age of embryonic life. 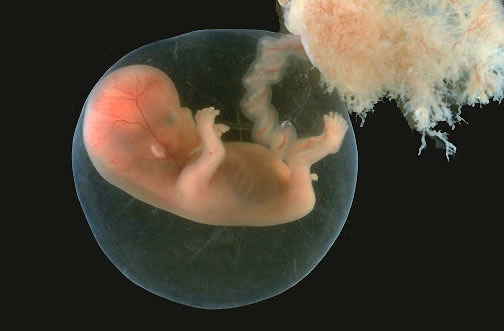 Note the thin amnionic cavity surrounding the embryo. Sadly, a large uterine leiomyoma precluded further continuation of this pregnancy.